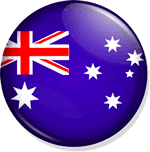 Save money and time by comparing shipping quotes to Australia from UK. Get estimates directly from international movers. Get last minute offers and deals. Choose cheapest time of the year to save money. Check this section to find out what details we need to provide an accurate quote! Our quote includes the customs clearance and we can indicate if and how much tax is to be paid. To find out more about our shipping quote to Australia comparison services please visit our home page. You will find there plenty of information on how to compare international moving quote online for free. We understand that getting shipping quotes may be a time consuming task. That's why we have designed a very easy to fill out online form. It is going to take you up to 3 minutes to enter all the information that we need to provide you with a professional and very detailed quotation. If you do not know all the moving details please do not worry. The quote can be amended at any time and it is free, with no obligation. For last minute shipping quote to OZ or back to the UK from Australia please chat to us online or give us a quick buzz. When filling out our form please make sure that the contact details are correct otherwise will not be able to call you or email you our free, urgent, fast, last minute shipping quotation to Australia: Contact Name, Email address, Landlines telephone number or mobile telephone number. Your contact details will be used for the shipping quote purposes only. Please feel free to specify your preferred time and method of contact. It is very important to us that we know when we can get in touch with you if we need more information in order to provide you with more accurate international moving quote. Sometimes we need to ask a few questions to make sure we have understood your requirements and that we have included all options on your house removals quote to Australia. You can choose to be contacted by email, phone or fax. You can also specify the contact method. If you do not wish to be contacted by phone simply choose an email contact method in the preferred contact method section. We can phone you even after office hours, on Saturday or on Sunday. To provide you with a removal quote from the UK to Australia we need to know your origin and destination addresses. This is needed to estimate the distance between your current address and the nearest port in the UK and the distance between the port in Australia and your new address. Please do not worry if you do not know the exact delivery address at this stage. The name of the village, town or the nearest city will be OK as in most cases our international home moving quotes are based on the 20 miles radius delivery. If you do not know your exact moving date yet please give us an idea so we can make an assumption. For example you can select the month and the year only. If you do not want to be guessing please at least type in the additional details box whether it is going to be a weekday, evening, night or a weekend move. The date on the UK to Australia quote request you send to us can be changed at any time. If you want us to provide an option for a packing service please choose accordingly: no packing if you do not require the service, Full packing if you want us to pack everything, fragile packing if you want us to include this service on our fast furniture shipping quote. Please select storage if you require the service or no storage if you do not. Our container shipping quote to Australia comparison can include options for storage in the UK and in OZ. Disconnect, re-connect, dismantle or re-assemble appliances, furniture, fittings and other equipment. All our moving quotes are free and can be amended at any time prior to the move. We always make sure our estimates are tailored to our customers' needs. Get and compare shipping quotes by filling out just one simple online form. It will take you just a couple of minutes but it could save you a lot of money. Compare shipping quotes online and choose the most competitive mover. Save money and sped it on shopping, gifts or eating out with your family. There are many reasons to use our online comparison website. Getting shipping quotes to Australia from multiple companies saves you time and money. Moving your household goods to a new place and relocating itself, especially moving with children, can be a cumbersome and tedious process if it is not properly planned. Therefore you need to consider the idea of choosing professional relocation services for household goods. 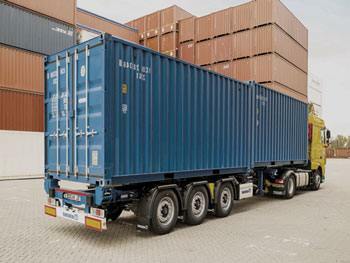 It is advisable to compare shipping quote to Australia and moving estimates about six weeks before the actual relocation process. Plan things in advance to avoid last minute panic. Sort through your things and get rid of those which you will not need in your new house. When you enlist the help of a company relocation it is a good idea to consult your employer which will cover part of the expenses. One should get a detailed list of all goods and transport costs and review them as well as the schedule for the relocation day schedule several days in advance. Packaging can be a process that takes time and requires a lot of ideas and plans. When packed, the furniture should be first in line. Get rid of things that are worn or need replacing. An outline of the available space in the new house would help to evaluate things better. If you do not feel comfortable with international packing make sure this is included in your free house moving quote to Australia which can be obtained online. Curtains, drapes and carpets should be cleaned and packed well in advance. Do not try to move perishable items, food and drinks - those items are restricted. They occupy space unnecessarily and will probably not reach the final destination. Discard clothing that you do not need. Donating to charity shops or to poor people is always a good idea. It would be better to inform all service providers, such as gas and electricity ones on the imminent change of address. Electrical goods and appliances should be wrapped in the original packaging, if possible. Pack dishes in layers of paper to prevent them from breaking or getting scratched in any way. Before you move on to compare shipping quotes to Australia make a list of goods you want to take. Consider carefully what you will need in OZ and what items may become useless there. The objects made of glass or crystal should be filled with fabric and then covered on the outside with layers of plain. Always place these objects in an upright position, not on the side. Do not take unnecessary risks when it comes to packing items and flammable aerosols. Use only strong shipping boxes. Pressure and temperature changes can make these items break or even get on fire. Power tools and cars should be emptied of fuel. Disconnect the battery while the vehicle is in movement. You should get your expense plan before you begin the relocation process by using fast, quick and easy shipping quote to Australia comparison website like ours. Priorities such as paying bills, sending money to Australia, closing bank accounts if necessary and collecting documents for opening new ones for the new location should be given careful attention. When comparing shipping estimates you have two basic options to choose from if it comes to the insurance: all risks covered, ensuring goods from any damage and total loss insurance, which can be applied only in case of total loss of shipment. Most companies do not provide coverage for all risks if the goods packaging is made ​​by the owner. Good planning can make the process of moving become a tension-free experience for you and your family. Remember that when you compare shipping quotes to Australia you can ask for as many options as you wish. Getting removal quotes for different moving scenarios will help you in making the decision on what items to ship. Request a free moving quote to Australia by filling out a simple online form - 24/7! Are any of your furniture, antiques, garden equipment made of wood? There are some restrictions on shipping items made of wood! Sign up to our newsletter and get exclusive offers and news you won't find anywhere else straight to your inbox! Professional advice, tips, new articles, customs changes, new visa programs, working holidays, expat forums, FAQ, job offers and more.